You either HAVE a water filter or you ARE a water filter. 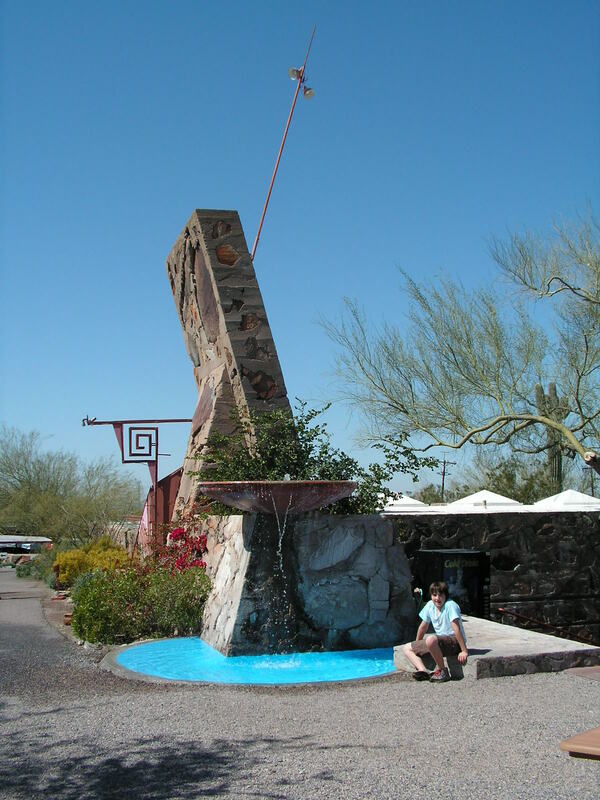 We live in Phoenix, AZ, which is in the Sonoran Desert. Our sunshine state is not know for the quality of our tap water. I’ve heard that Arizona has three years worth of water stored in underground aquifers, for which I am thankful, even though it tastes horrible. So we won’t die of thirst any time soon. I think I could probably crawl out of Arizona to a neighboring state within three years if I had to. Remember I just ordered a new water filter for the fridge that had the ice maker, the door magnets and the water dispenser fixed? Well, come to find out, my beloved Whirlpool side-by-side refrigerator DID NOT HAVE A FILTER! What? I am semi-grossed out by this news. After pulling out the fridge to inspect the backside, I discovered lots of broken glass under there. The glass used to be the lid to my most-used and well-loved soup pot. Bummer, dude. It almost looked like someone swept it there on purpose…. but I digress. I wish I had action photos for you… but no. Today I am feeling like a boss. With my new filter in hand, along with several attachments and no instructions, I turned to trusty youtube and learned how to splice the water line and install the water filter ALL BY MINESELF. (That’s what our eldest used to say twenty-two years ago.) After the second try, it doesn’t even leak! Feeling like a homeschooler. My assistants, (okay, I had a little help) my two “willing” teenagers, tested the water, wrapped white sealant tape, emptied the pail and moved the fridge back in its hole. Thank you, my children. We will have yummy water and delicious ice cubes for dinner! Need plumbing or large appliance assistance? 1-800-LindaIsABoss. BAM! 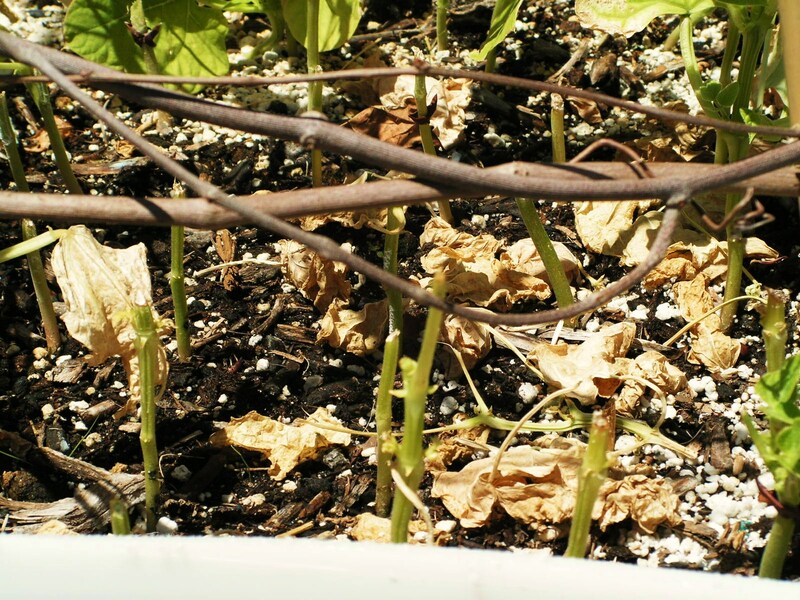 What you are looking at here are the remains of my green bean plants thanks to a naughty little ground squirrel who breathed his last naughty breath yesterday. Yes, those are four-inch tall green bean sticks. I was about to rip them all out, then I noticed some are sprouting new leaves. Not sure what to do quite yet since there are fifty bazillion ground squirrels that live in the alley next to our house. I did find the hole next to the house where they were getting in and they will no longer have easy access. AND I bought some cucumber plants to replace the peas and beans. 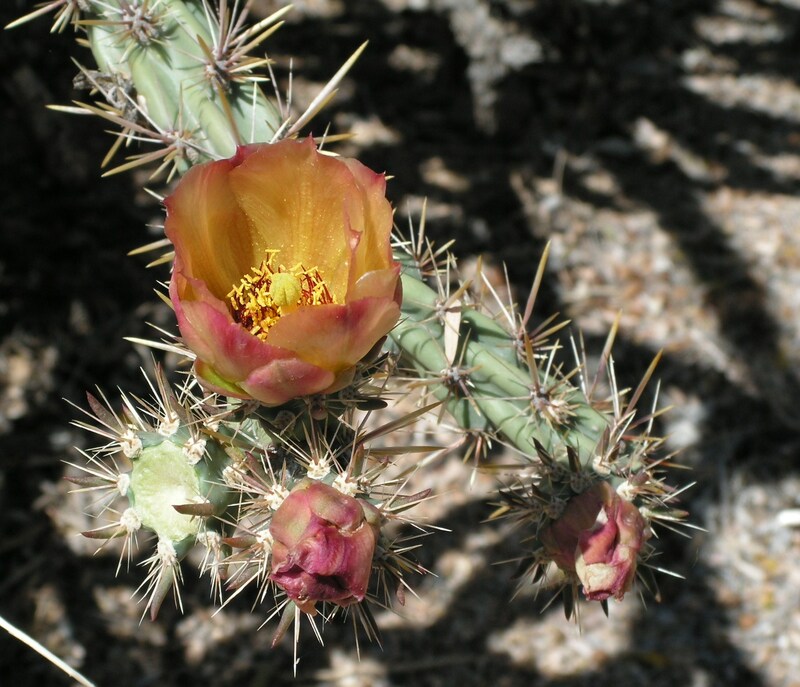 It’s simply too hot here in the Sonoran Desert for peas past April. We grew them last Fall with great success. What was I thinking planting them in March?? 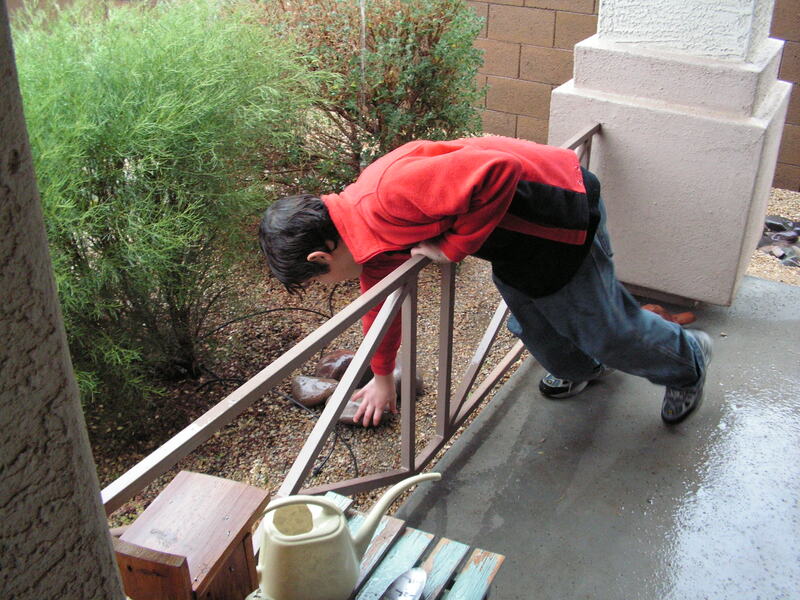 Anyway, yesterday I was out watering the garden when I heard scurrying on the far side of the yard. Our entire backyard is surrounded with a six-foot high block wall fence. Yes, it’s kind of prison-ish, but it’s what they do here in Phoenix. I dropped the hose and ran for the back door to get our Rat Terrier, Trixie, to come and earn her keep. Rat Terriers are bred for killing rats…. and all related rodents, I was hoping! That poor dog is getting old! The ground squirrel was frozen in place next to my back flower bed, but Trixie couldn’t see it. I threw her toys over there… I threw rocks, hoping the little ball of fur would move and get her attention. FINALLY she sniffed around and when she got within six inches of the demon of destruction, it jumped into the flower bed and the chase was on. Yes, several of my flowers were trampled, but I did not care! Trixie caught it, shook it mercilessly and then left it lying on its back… dead. I thought about laying the carcass on the outside of the block wall to warn all the other fifty bazillion relatives that doom was pending if they crossed the dead body. But I just chucked it over the wall toward the alley. 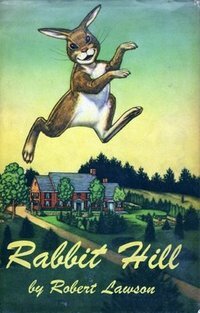 A few months back I read the book Rabbit Hill to my children. The tale is written from the viewpoint of the rabbits. It had been a long lean year with no people living in the house where they burrowed near. Finally people moved in and planted a huge garden. The rabbits, mice, badgers, squirrels, etc. were wondering what sort of people they would be: trap-setting, pesticide people, or generous, nature-loving people. They ended up being the latter, and at the time of the reading, I was thinking that I was a generous, nature-loving people. Not true, as yesterday’s victory in the garden proved. Four years ago we were studying the flowers, plants, animals, landforms, etc. of the Sonoran Desert in which we live. There was this great activity in our curriculum that explained how to make a desert plant terrarium, so I bought this little round cactus for the enclosed desert botanical garden. That’s as far as we got with the activity. Since then, it has been just that… a little round cactus on my kitchen window sill for four years. Being a cactus, I only water it once a month by setting it in a pan of water for an hour or so. 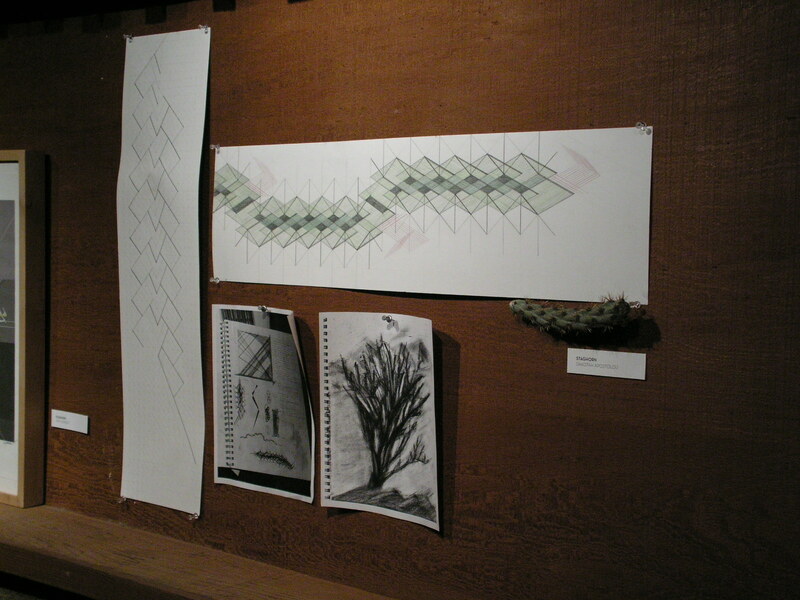 Then, THIS year, it decided to show off. This beautiful orange blossom opened a few days ago revealing the true beauty of the desert. WOW! 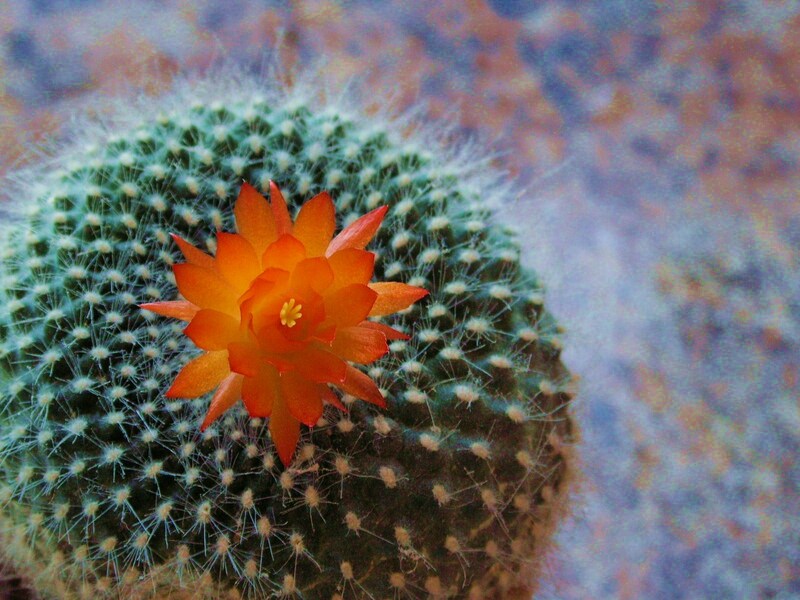 The flower is only an inch across and the cactus is not quite three inches tall. Teeny. Perfect for a little desert terrarium. 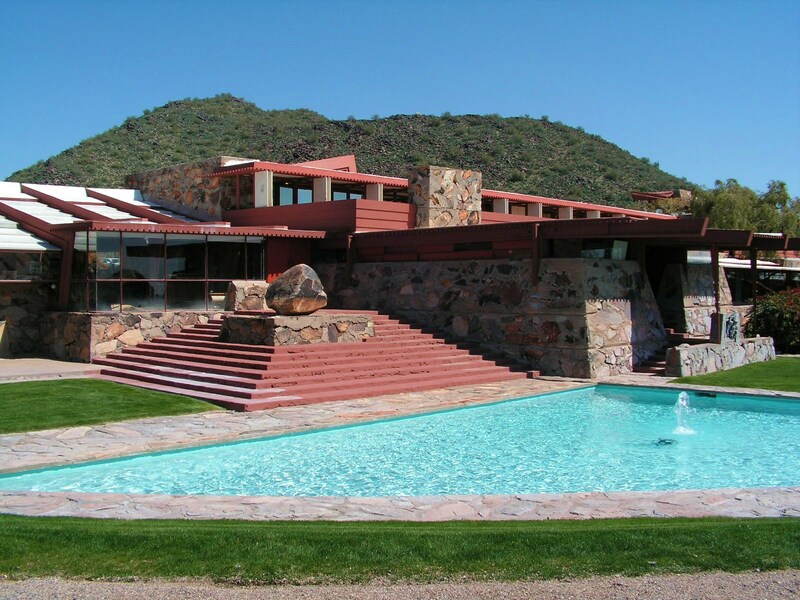 This is the studio/school/home of Frank Lloyd Wright in Scottsdale, Arizona. It is so beautiful out there! Enjoy! 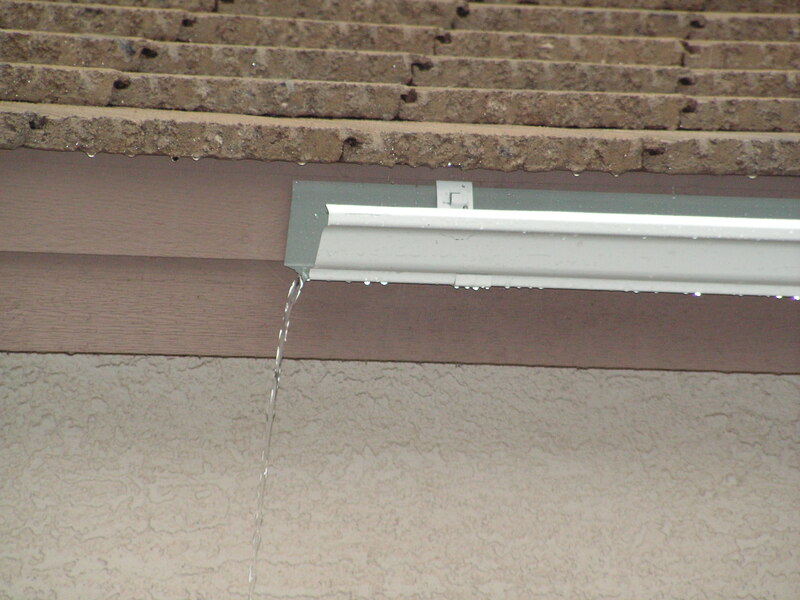 We’ve lived in this house for over four years… with no rain gutters. This is not usually a problem here in the Sonoran Desert. However, this week we are surviving the worst storm in 17 years and a rain gutter hit the top of my NEED list. 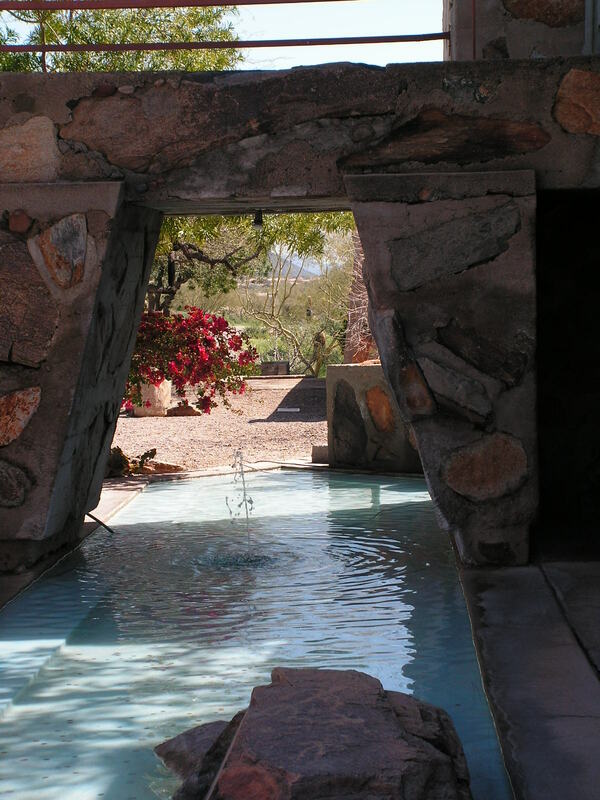 There are four slanted roof surfaces that all guide the water to the overhang BANG in front of our entryway. Because we have a flat tiled roof, the water created a curtain of mini-waterfalls that you had to pass through to get in or out of the house. Usually, like I said, we don’t get much rain, but I was aware of the torrential downpour that was coming this week, so I splurged and bought a rain gutter, an end cap and brackets. I arrived home in the darkness of night, albeit clear skies, and decided the gutter would meet the front of the house in the morning. Unfortunately, the following morning the rain was also meeting the roof and making said curtain of mini-waterfalls during the installation period. Yes, that’s me braving the elements. It was a bad hair day, hence the hat. The following picture of Austin installing the supports for the brackets almost shows the wall of water that we used to experience just to his right. It had however, reduced to a slight sprinkle by this point. 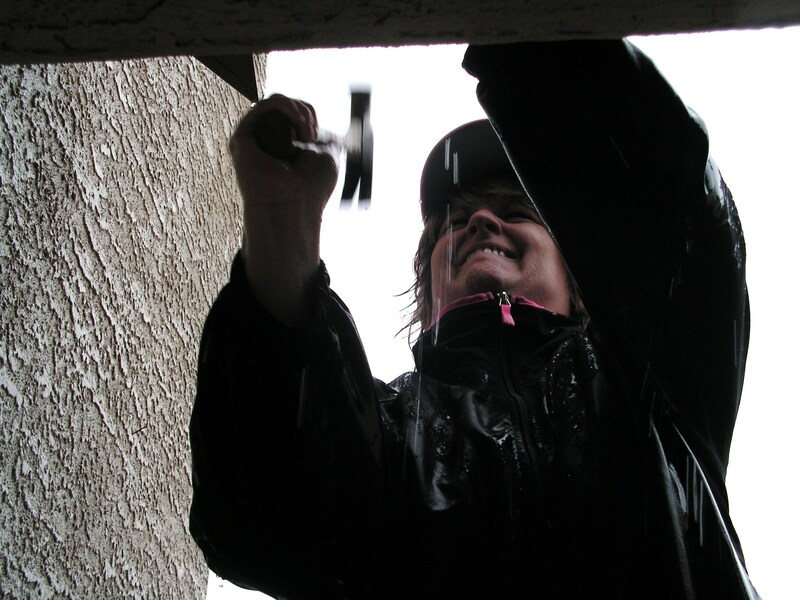 A reprieve for the rain gutter installers. Keeve’s job was to pile large rocks where the water was now directed to and would indeed be causing a gorge without deterrents. Of course, this could not be accomplished by an 11-year-old boy without sticking his head IN the spout of newly, redirected water. 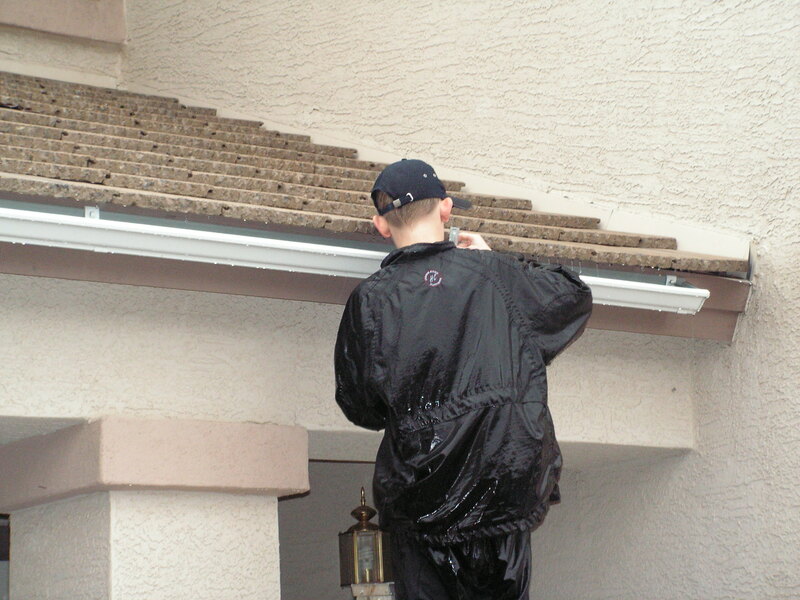 When the dry season returns, we plan to paint the gutter to match the house trim…. and if we’re feeling generous, we might even buy more gutter to reach the end of the house, like most normal gutters do. But no promises. I’m just happy that we can leave the house without taking a shower. Downspout, sweet downspout. Brings a tear to my eye. Photography by ME. Unusual for sure. I usually lift them from Google images. Was it a completely broken down wagon… and no trees in sight… that caused them to pause here? 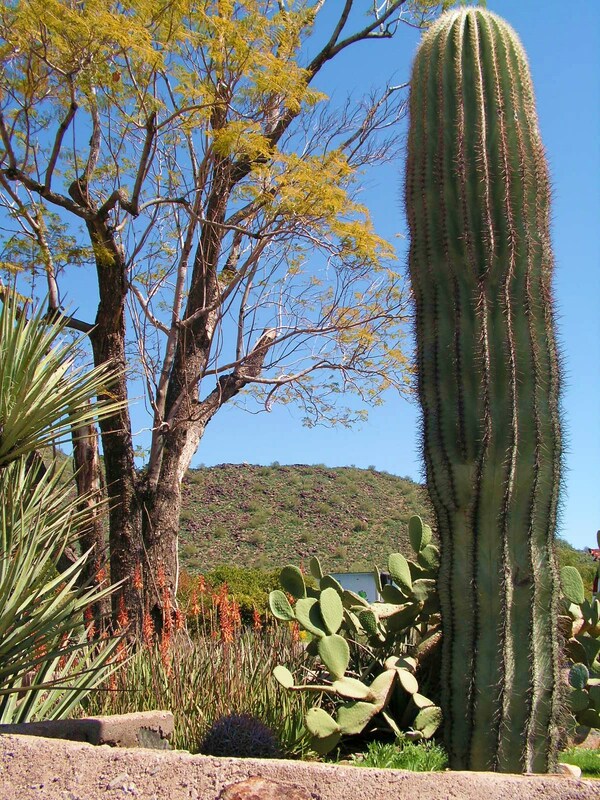 Or was it a botanist discovering the flowering cacti that forced his wife and chillens to stay on the dry, cracked dirt? Or someone from the Sahara Desert who finally felt at home with the mirages and heat stroke? I don’t mind living here… in this day and age. It’s quite comfortable as long as you stay inside and your A/C doesn’t go out. It did take a bit of getting used to. My first summer here, 11 years ago, I jumped into my Dad’s ’66 Mustang without moving the metal seatbelt out of the way. I had a burned-in, blistered horse tattoo on my backside for a long while. But we have the necessary tools of survival… NOW. I’ve seen women driving wearing oven mitts so they don’t have to touch the steering wheel. We have spring loaded window shades that take an ambidextrous person to collapse. Not to mention the safety glasses necessary whilst opening them. Today, it’s a balmy 102. Relatively mild for July. If I remember right, it was 118 this week last year. And I like water. Lots of water. Camel amounts of water. It makes me feel… wet and cool… bloated and waterlogged. As long as I don’t have to do yard work from May – October… I’m good with living here.